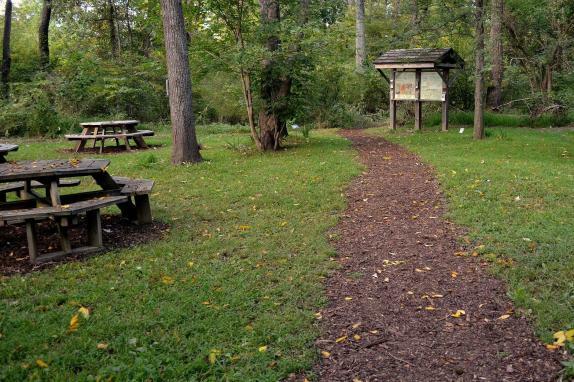 The Chapman DeMary Trail is a 1-mile nature park located in the last stand of old-growth forest in the Town of Purcellville. Though the land is privately owned, it is open to the public. The 10-acre area is protected through a conservation easement held by the Town of Purcellville. The four main trail that established and enhanced this 1-mile trail are: Loudoun Valley High School, the Nature Generation, the Piedmont Environmental Council, and the Town of Purcellville. It is named after John Chapman who owns the land and John DeMary who is a naturalist and retired teacher from Loudoun Valley High School. The trail runs along the South Fork Catoctin Creek. 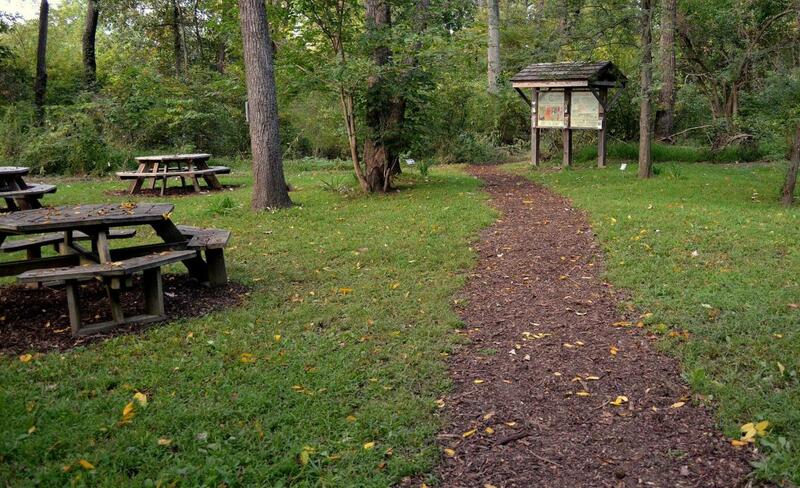 To visit, park behind the medical/office building at 205 East Hirst Road and take the steps down to the picnic area. The trail goes to the left and right of this area.